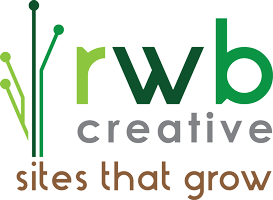 Kathleen (KC) Babb is the owner and lead designer and developer for RWB Creative, LLC. Prior to beginning this business, she worked for IBM and spent her career working with networked applications. As the technology has evolved, from private leased line and dial-up networks to the pervasive Internet, she has continued to be excited about the ways that technology can help us connect and communicate with our family, friends and businesses. In working with clients, KC has always worked to understand their needs and requirements and to develop and implement a successful solution. Every new opportunity begins with a conversation to determine the client’s vision and to define that goals that must be met to make the project successful. KC currently splits her time between northern Michigan and the Chicago area. In the summer she enjoys all that Torch Lake and the surrounding area has to offer. In the winter, she takes advantage of being near the great city of Chicago. In addition to working on RWB Creative, LLC, KC is also on the boards of the Three Lakes Association and the Torch Lake Yacht Club. To initiate a conversation on how we might be able to help you with your web presence, please email us: rwbllc@gmail.com.